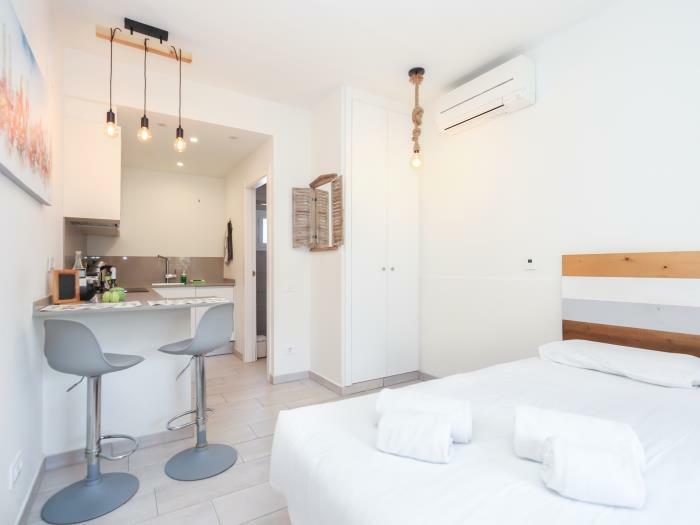 Stylish and cozy studio apartment for 2 persons is newly renovated and prepared to make your stay comfortable. 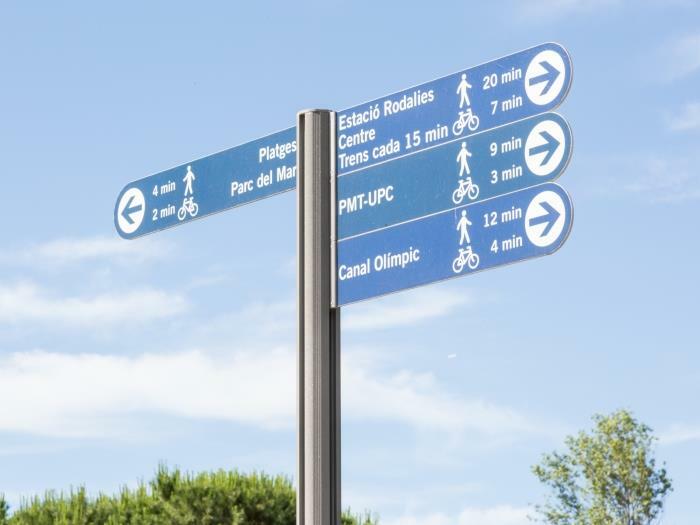 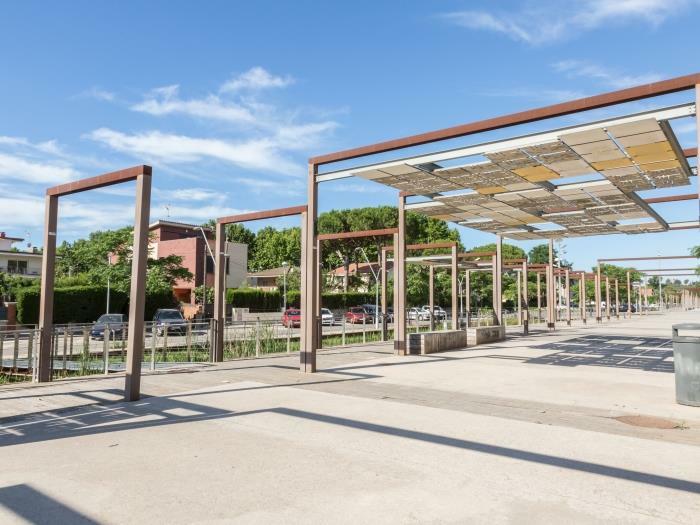 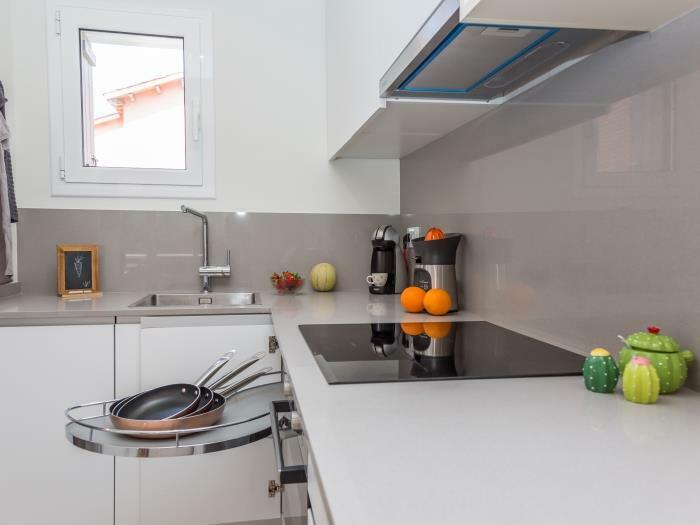 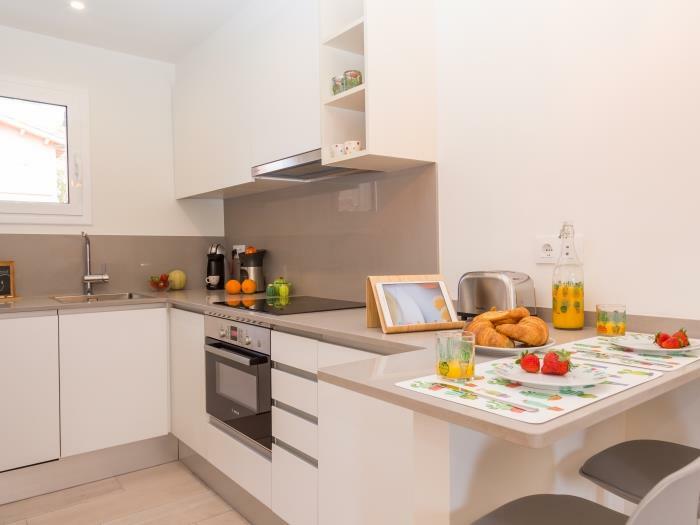 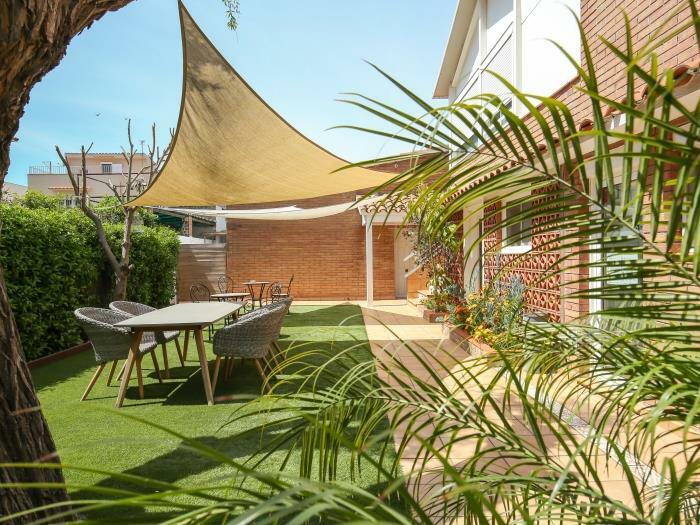 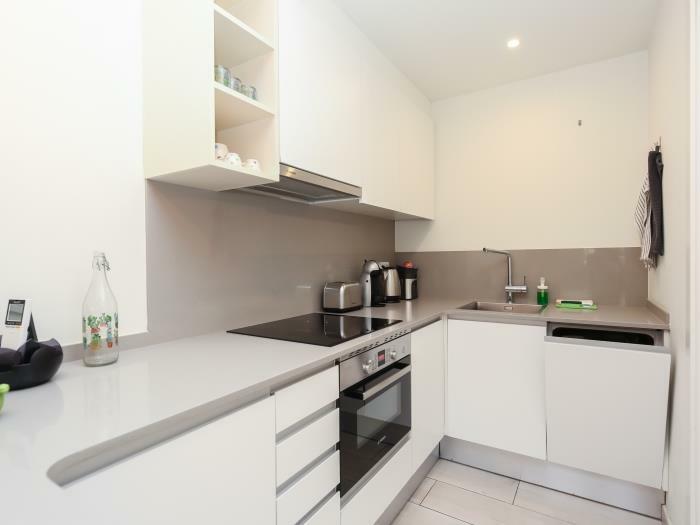 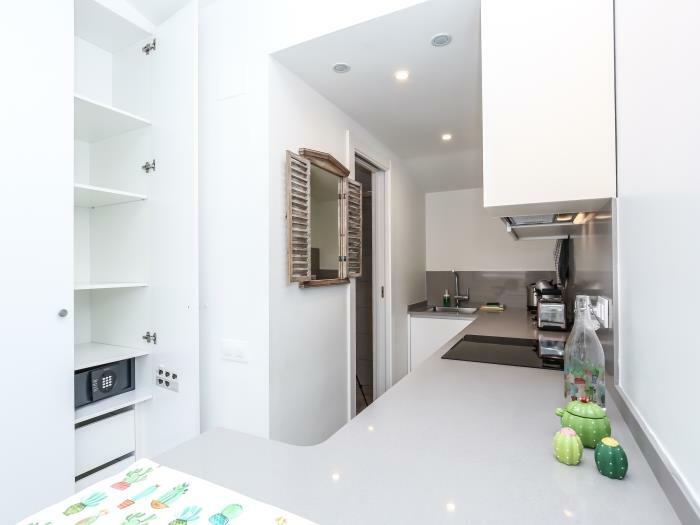 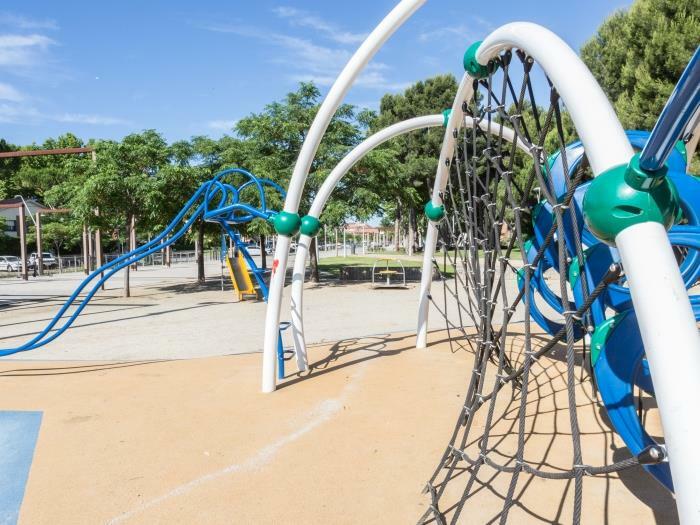 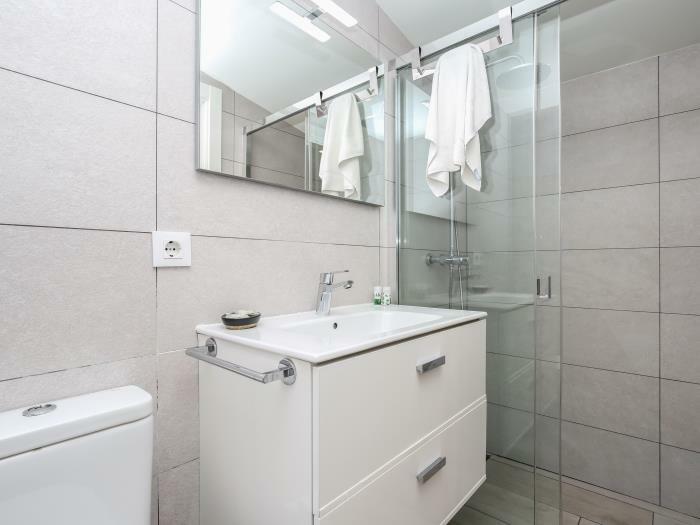 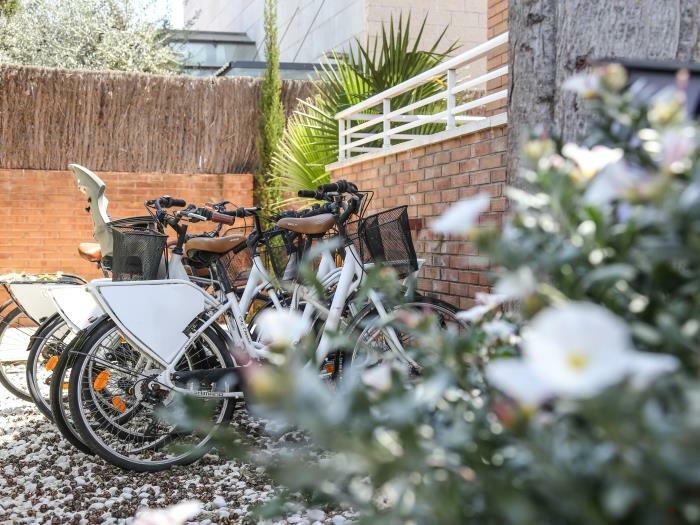 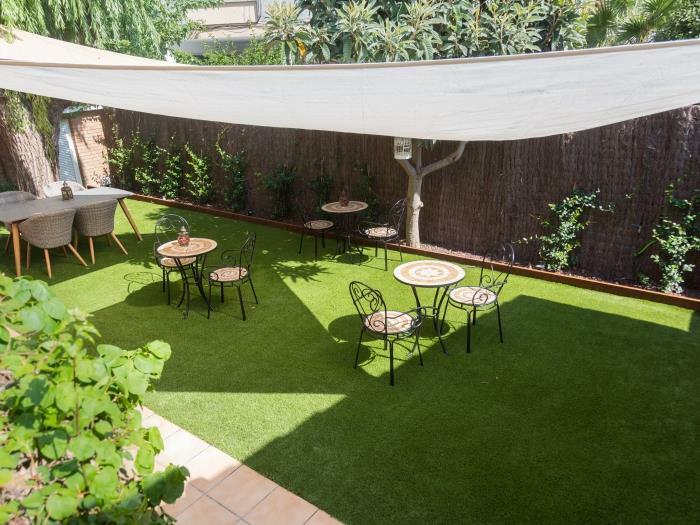 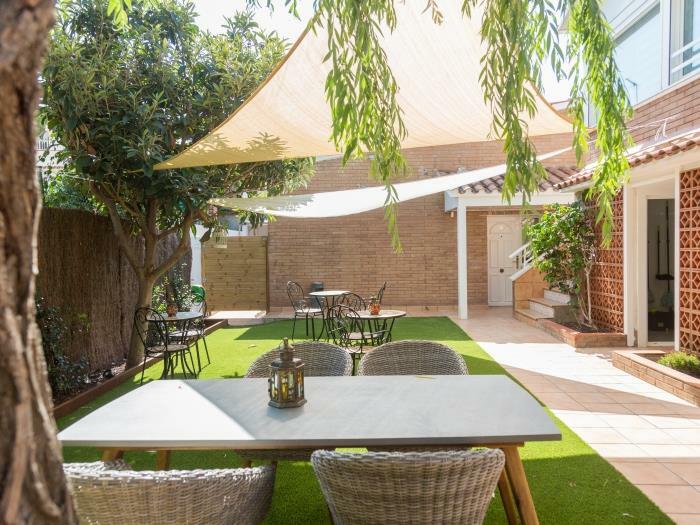 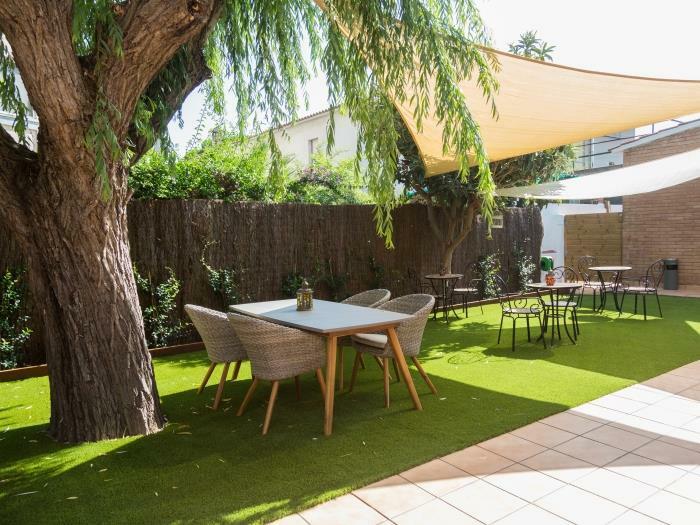 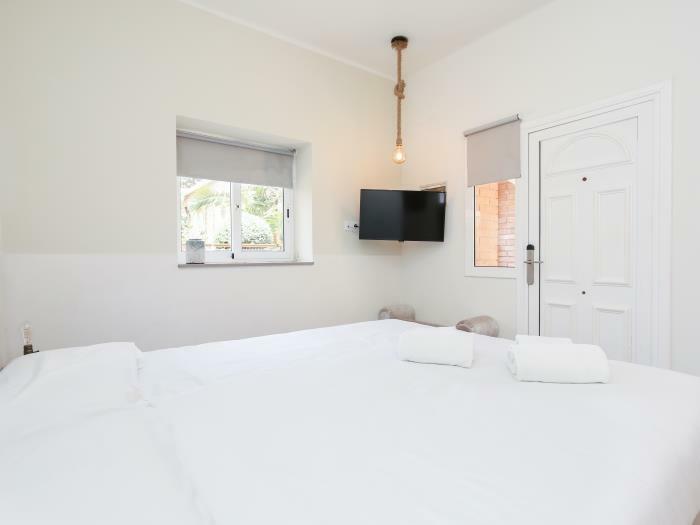 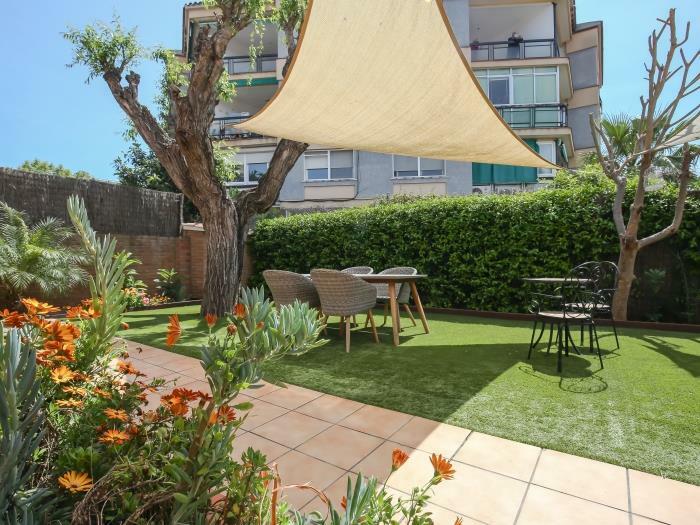 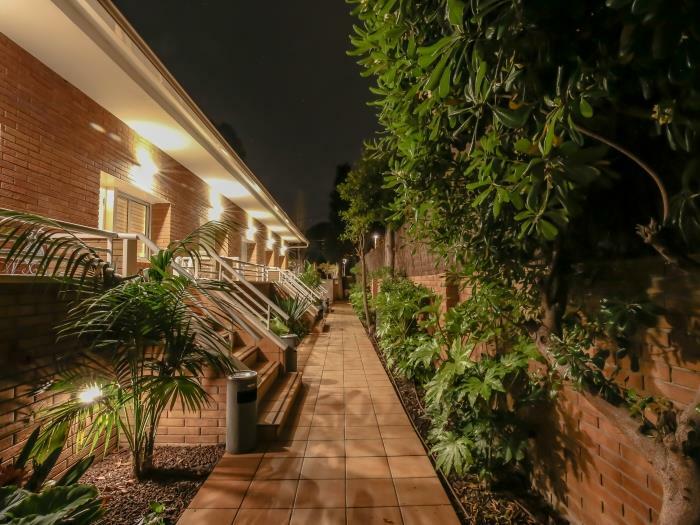 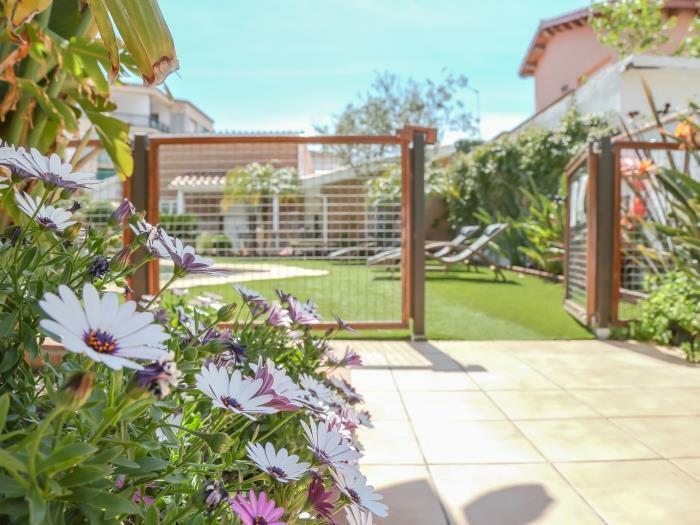 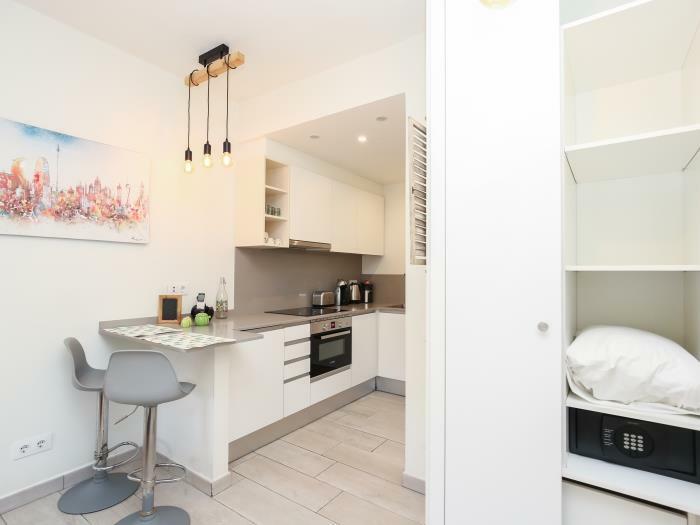 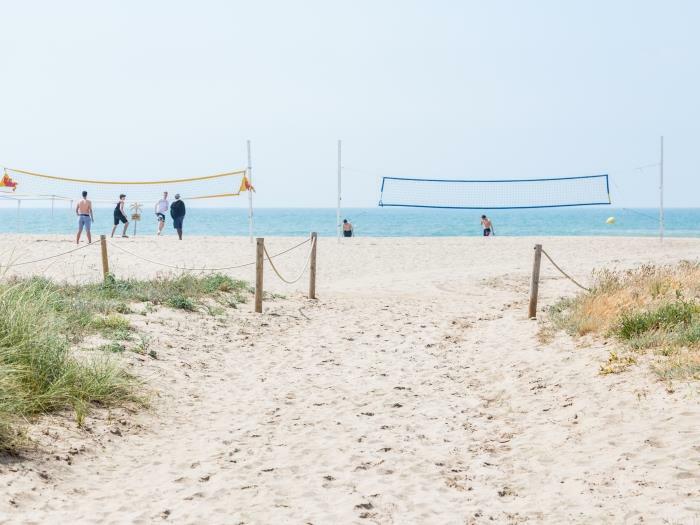 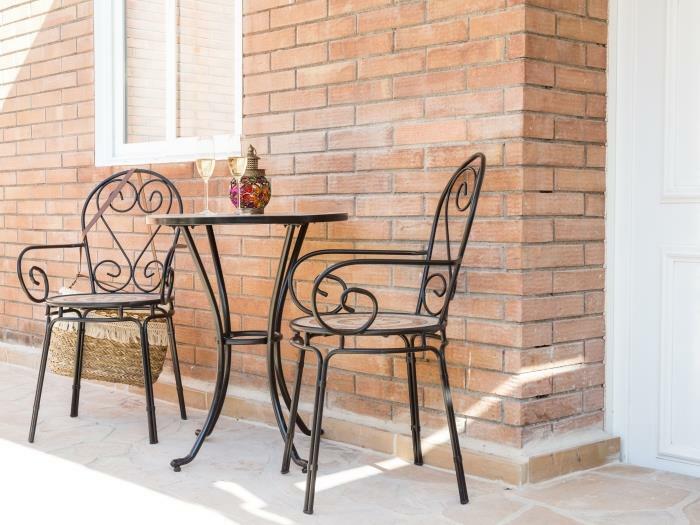 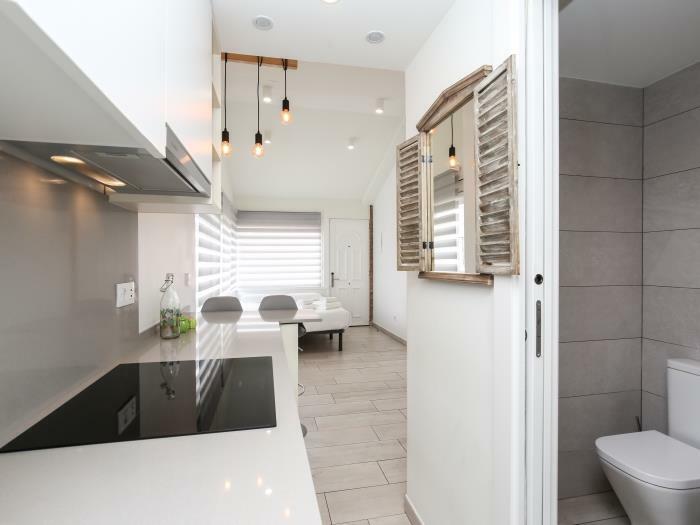 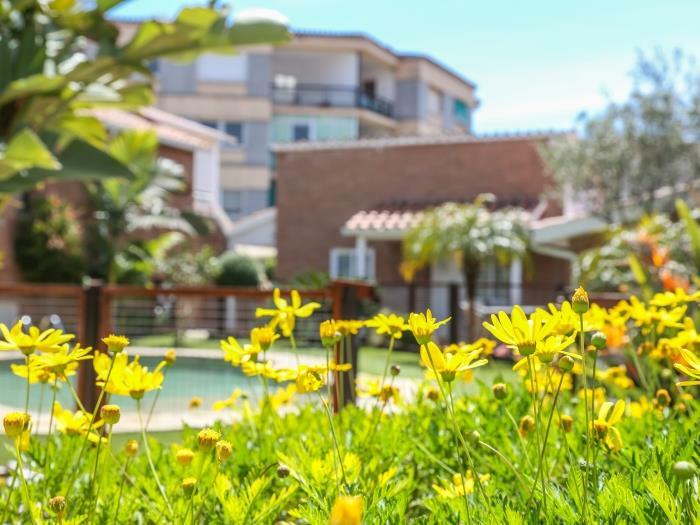 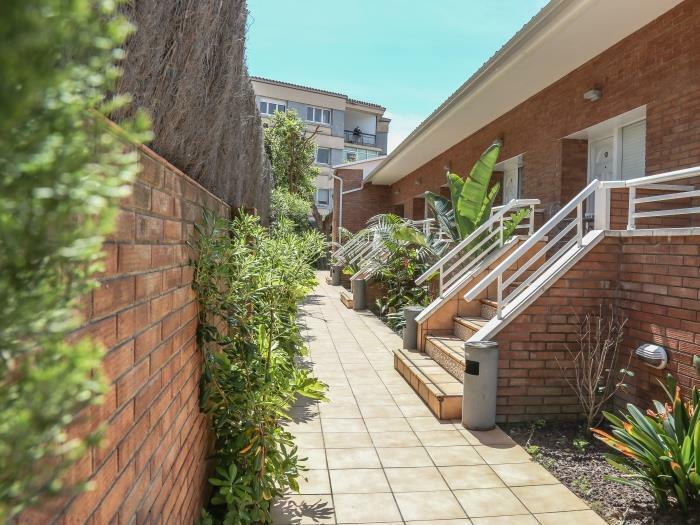 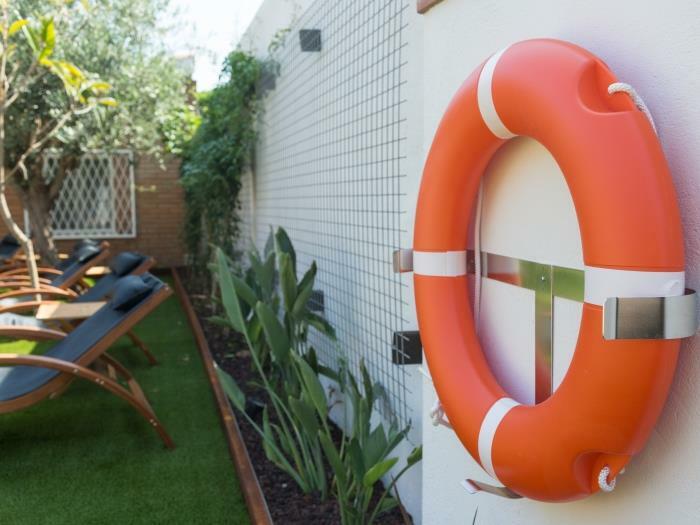 Very quite area, but close to everything you may need during your holiday or business trip: 7 min walk to the train station that connects you with Barcelona in 25min and only 15 min walk to the beach. 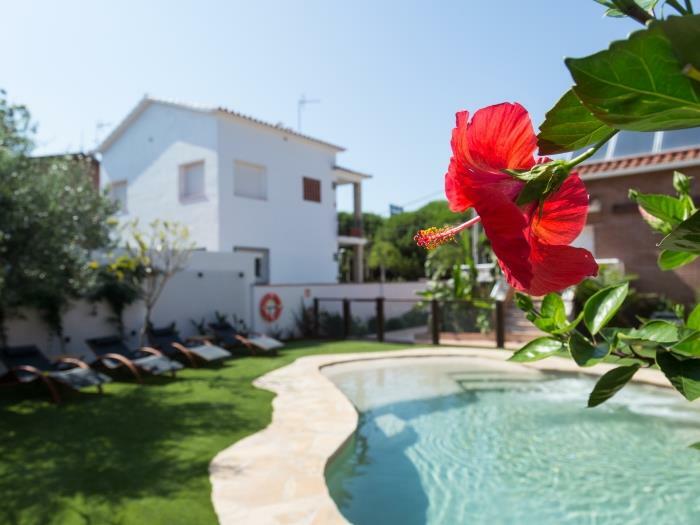 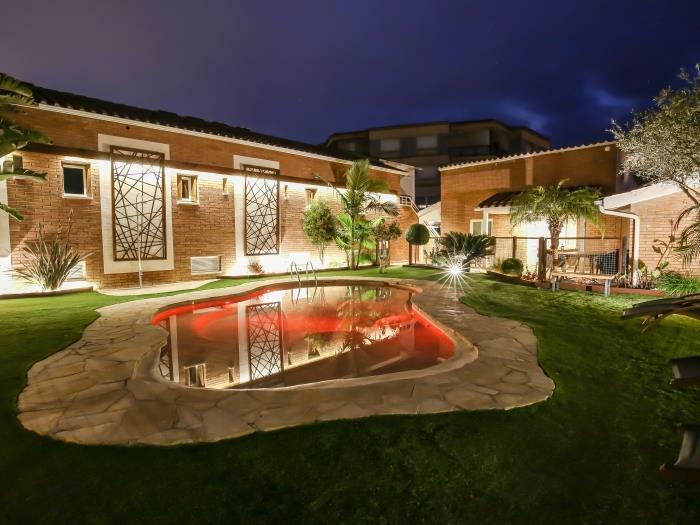 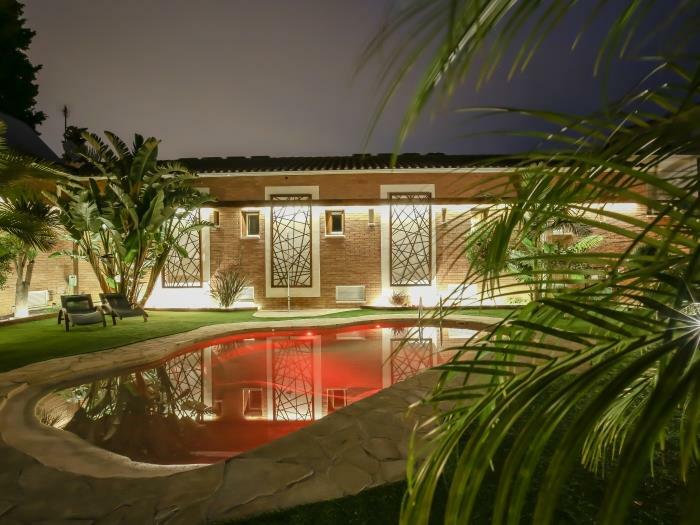 If you prefer to stay next to your apartment, you can enjoy a beautiful swimming pool located at the property. 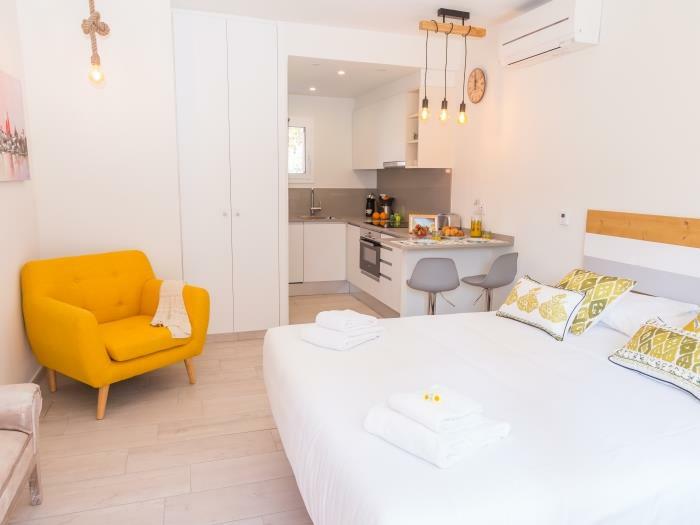 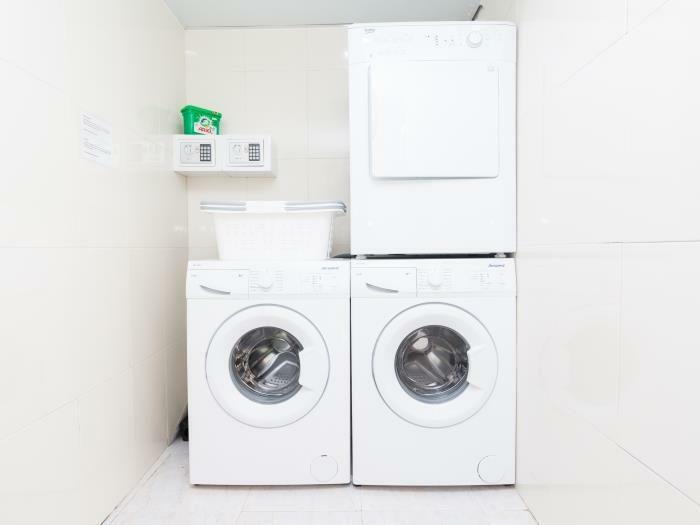 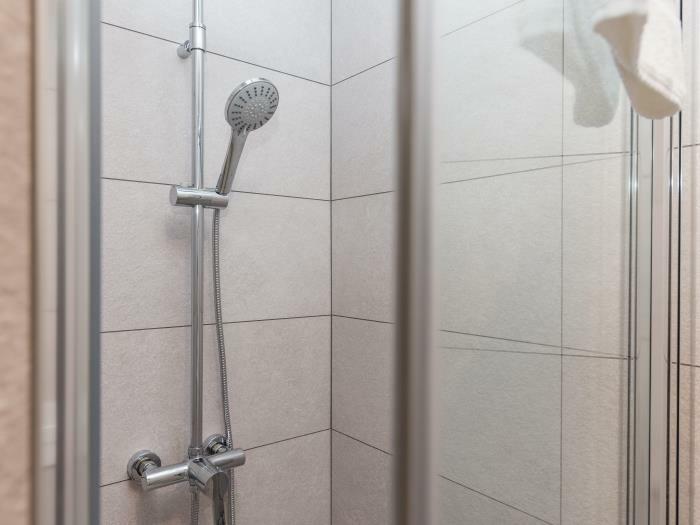 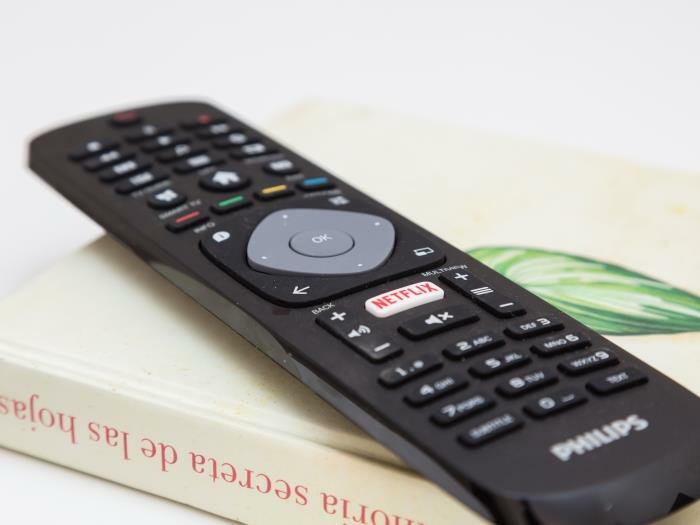 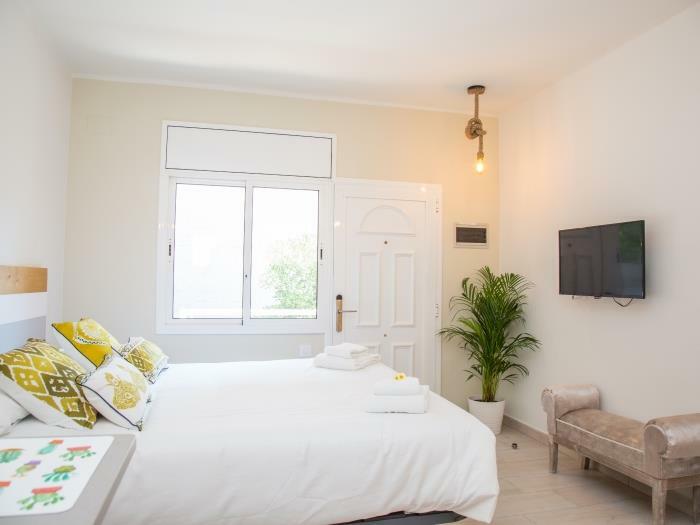 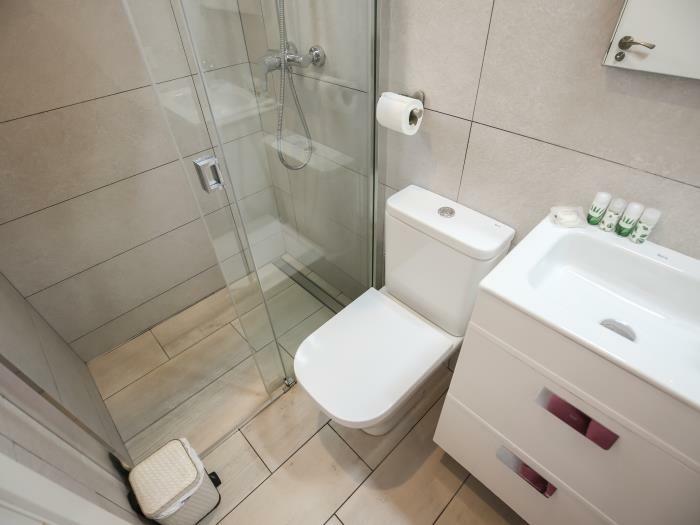 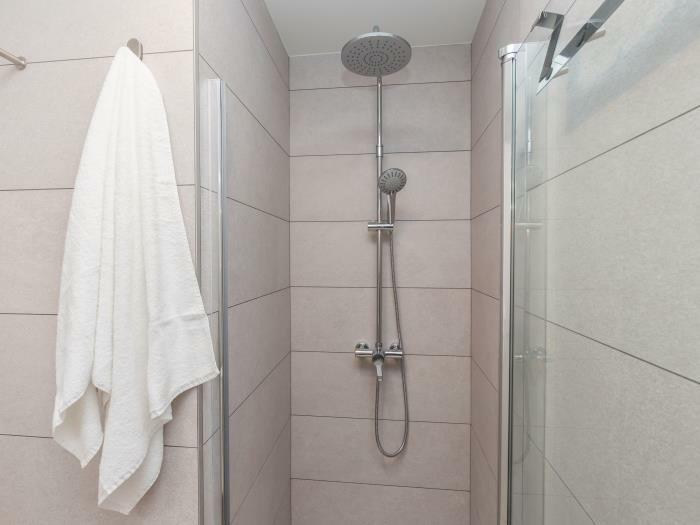 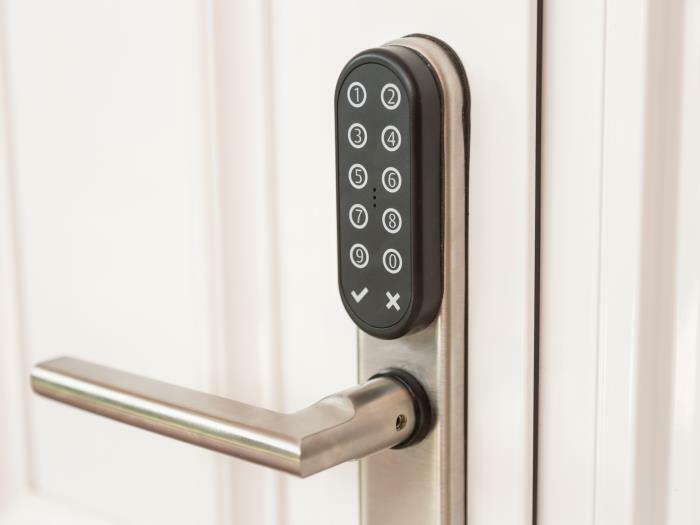 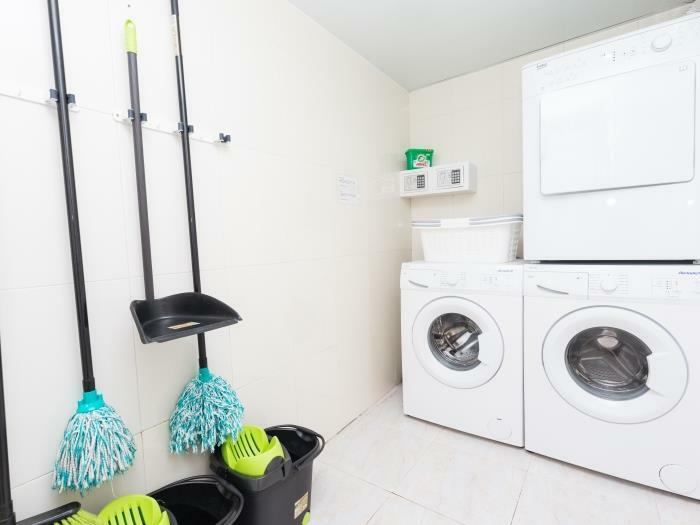 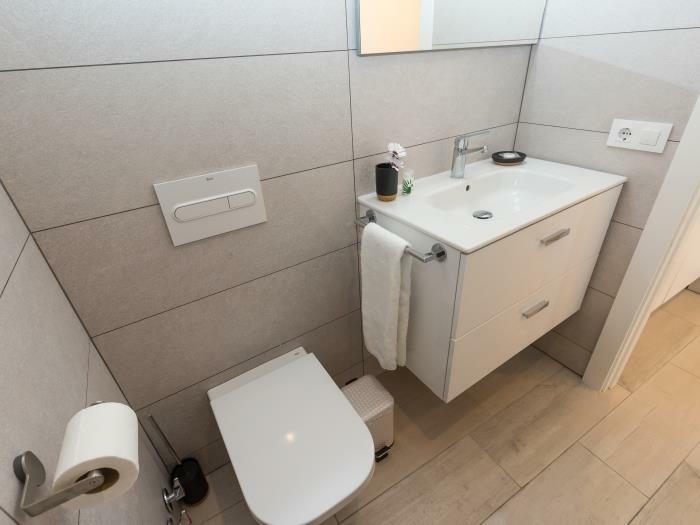 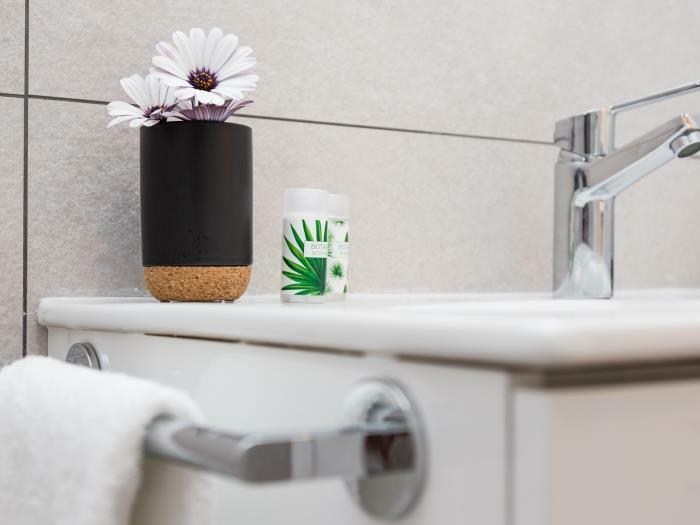 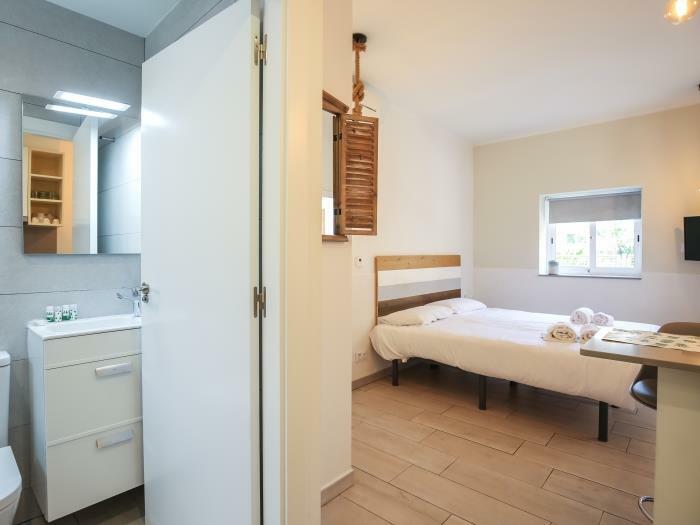 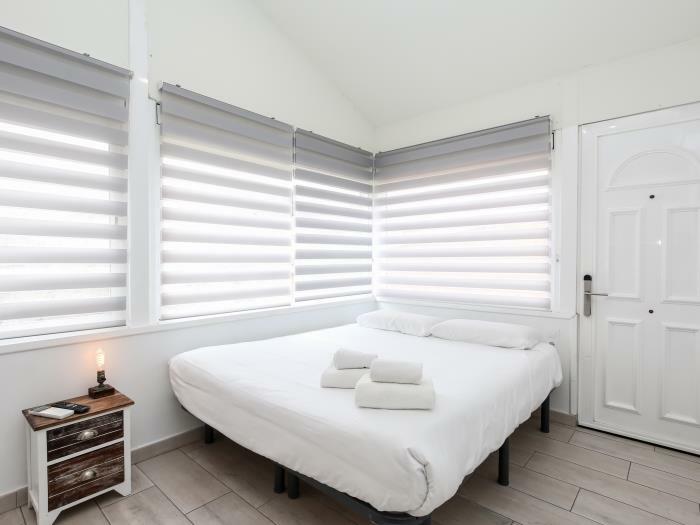 In the apartment there is a private bathroom, very functional kitchenette and one double or two single beds, prepared according to your preferences. 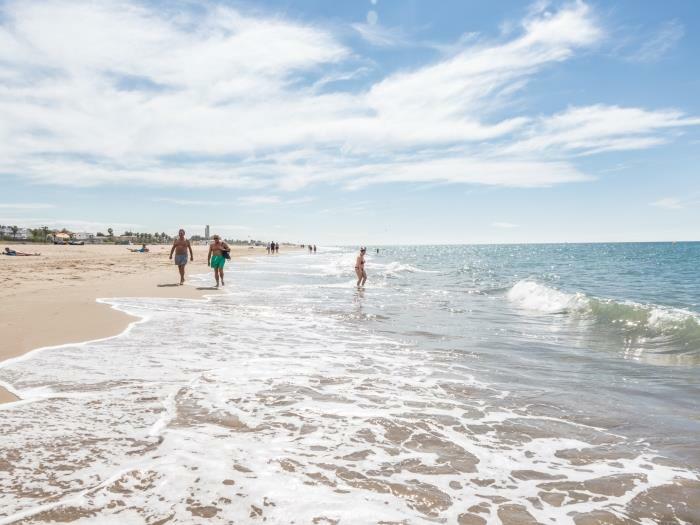 Reserve now, and enjoy your stay in Castelldefels!